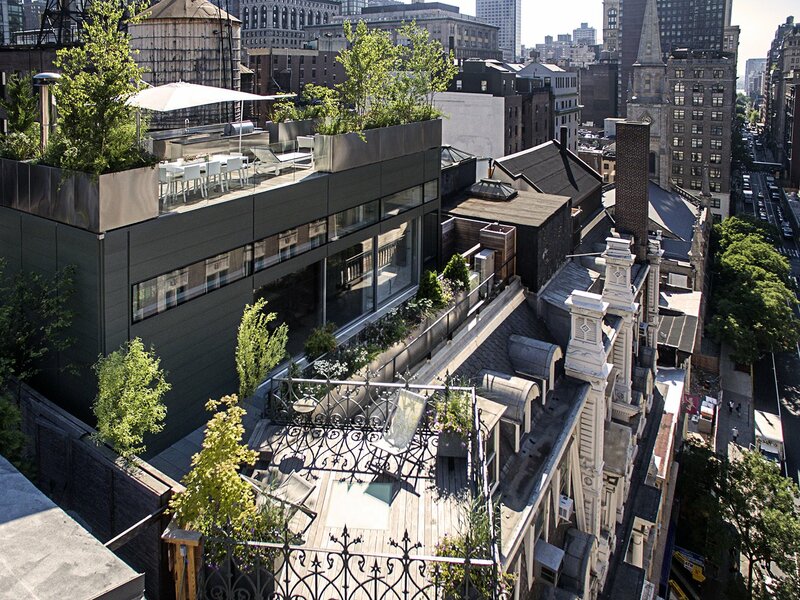 Perched atop the historic Gilsey House, the J+K Residence also overlooks a storied neighborhood. The land, located north of Madison Square, was one of New York's last remaining family farms before becoming a bustling theater district. It then devolved into a neglected wholesale district until being rediscovered by artists and entrepreneurs.